The governor's race isn't the only action. There are some crucial state legislative races as well. As we all learned in 2014, the legislature makes a big, big difference. Rep Stephen Ortego in Carencro is a very smart guy, young, the kind of person you hope gets involved in politics, and he has a huge target on his back because he believes the oil and gas industry should act responsibly and contribute to a solution. The industry very very much wants to get rid of him, in my view because they see Ortego as potentially very important in the future-- I think he's capable of being a serious candidate for much higher office and so do they-- and they want to get rid of him now. In St Bernard, Casey Hunnicutt, a parish councilman, is running against Rep Ray Garofalo. Garofalo on any environmental score card is a zero. If Hunnicutt-- whom I met long ago because of his support for alternative energy-- makes the run-off I think he'll win. Please help him make the run-off. Brenda Babin in Terrebone has a PhD in coastal science, running against Rep Lenar Whitney, a climate change denier who ran for Congress last year (Garret Graves won the seat). Cook Political Report's editor called her "frightening" and said she's the only 1 of hundreds of interviewees over a period of years who walked out. This is a 3-way race right now. In Plaquemines, Alexis Billiot, Democrat, a constable, is running against Rep Chris Leopold. Leopold is below zero on environmental issues and has a lot of money from industry, etc. Sen Conrad Appel, a Republican from Metairie. On most issues I disagree with him. On environmental (and education) issues he's excellent. And the guy running against him is John Labruzzo, a former state rep, is terrible not only on the environemnt but, in my view, on everything else. Also, in the Monroe area, pleas support Rep. Marcus Hunter. In the case of Ortego, Honnicutt, and Leopold, if we win it would have significant symbolic importance as well. Clearly the victories would be because of environmental issues. That sends a signal to every politician in the state that blindly protecting industry puts them at risk. All of a sudden it shifts the playing field. When the Southeast Louisiana Flood Protection Authority-East filed suit against 97 oil, gas and pipeline companies, industry spokesmen condemned it, saying that the industry wanted to cooperate but couldn't and wouldn't with a gun to its head. Now the industry has an opportunity to mdake good on its pledge of cooperation in St. Charles Parish, which has not sued. St. Charles wants to build a $300 million levee to protect its west bank. The threat to this area has increased enormously because of the tremendous land loss in the Barataria Basin, land that once naturally protected the area against hurricane storm surge. And it is in the Barataria and Terrebonne basins where oil and gas industry activities have had more destructive impact than anywhere else in the state. According to a 1989 study by the Louisiana Mid-Continent Oil and Gas Association, the trade association for such major oil companies as Exxon Mobil, Shell, Chevron and BP, oil and gas operations were "the overwhelming cause" of land loss in these basins. A 2006 Louisiana Department of Natural Resources study concluded that the industry caused 76 percent of the land loss there. Other recent estimates put industry responsibility even higher, as high as 90 percent. Industry did this while ignoring laws requiring areas to be "restored to the pre-existing condition." Given industry responsibility for land-loss there, given that national taxpayers contributed to the cost of the metro area's levees, including St. Charles' east bank, given that parish taxpayers just voted to tax themselves for some west bank levee costs, given that the tax will raise only $4.8 million a year, far less than needed, the industry should now pay its share and demonstrate that its talk of cooperation isn't just talk. Chris John, the head of LMOGA, has argued the industry is already paying more than anyone else for coastal restoration, but he's counting its total tax burden, not any special contribution to restoration. True, some companies have made contributions to restoration or local levee districts worth millions of dollars, but that amount is trivial compared to the tens of billions of dollars of damage the industry inflicted. "Million" and "billion" sound alike, but a billion is one thousand times a million. Think of it this way: Suppose your car is worth $25,000 and some multimillionaire runs a red light and totals it, then gives you $10 and says, "Let's call it even." That's roughly how much the industry has paid so far compared to its liability. And if that multimillionaire hired people to get him out of paying more you'd get mad. That's exactly what the industry is doing. John recently told a reporter, "We'll spend more money this time than ever before." But he wants to spend money electing politicians who won't trouble the industry, not on coastal restoration. So far three public bodies, Southeast Louisiana Flood Protection Authority-East and Jefferson and Plaquemines parishes have gone to court seeking industry help on restoration. The industry and its allies responded by exerting extraordinary political pressure to kill those lawsuits. And so far oil companies' talk of cooperation has been just another way of saying taxpayers should pay for everything. If industry truly wants to cooperate, it should contribute — on a scale commensurate with the damage it did — to building the St. Charles levee and restoring the land outside it. Then it should help Terrebonne Parish, whose citizens are now taxing themselves to build a levee that does not even meet the 100-year standard for flood protection, thus leaving them vulnerable to flood insurance increases that may be nearly as devastating as a hurricane. Industry could at least pay to bring Terrebonne levees up to the 100-year standard. Finally, the industry should engage in negotiations to create a fund to help rebuild the entire coast. Let's be clear. By no means did energy companies cause all the land loss, not even in the Terrebonne and Barataria basins. But they did cause much of it, and to the extent they are responsible they need to cooperate in forging a solution. That was always the goal of the flood protection authority's lawsuit: to precipitate a statewide solution. That would show real cooperation. If, however, industry promises prove empty, then politicians in St. Charles Parish and elsewhere have a responsibility to protect the lives and property of their citizens. They should do what the flood authority, Plaquemines and Jefferson did: demand satisfaction through the courts. Because it will take a very long time to pay off $300 million plus interest at $4.8 million a year. In fact, by the time that happens, there won't be much left of St. Charles Parish to protect. Apologies to all for not keeping this page current. We have kept our Facebook page current, but we've let this one lapse. We haven't done more simply because Restore Louisiana Now has no staff and I have zero technical competence. So it's past time to update you on the lawsuit filed by the Southeast Louisiana Flood Protection Authorit East against nearly 100 oil, gas, and pipeline companies over coastal land-loss. As you probably know, there were a few very small settlements last fall, trivial in the amount but important as precedents. Then we received very good news when a state judge threw out-- on four separate grounds-- the law which the legislature passed designed to kill the lawsuit. The attorneys are very confident the state supreme court will concur. However, we also received a serious blow in February when a federal district court dismissed the case. The ruling was so flawed, however-- in fact, an attorney opposed to the suit told me laughed when he read the judge's opinion-- that we believe there is a very real chance the Fifth Circuit Court of Appeals will overturn the ruling. As one of the attorneys on the case put it, "This isn't a Hail Mary. It's more like going for a two-point conversion." And there is a real positive that could come out of this: If the Fifth Circuit does rule in our favor, we'll be in a far stronger position than we were before. Meanwhile, in other news, at this writing it does not look like there will be another attempt in the legislature to kill the lawsuit. Finaly, below is an op ed I wrote for The Advocate a few weeks ago which, I hope, gives you a good sense of what's what and where things stand. In 1989, the Louisiana Mid-Continent Oil and Gas Association — the trade association for Exxon Mobil, Chevron, BP, Shell and the other majors — conducted a study of areas most damaged by coastal land loss. By then, the threat presented by land loss was well-known, state laws required that areas damaged by the energy industry be “restored to the pre-existing conditions” and Governor David Treen had tried and failed to pay for fixing the problem with a new Coastal Wetlands Environmental Levy on the oil and gas industry. What has the oil and gas industry done since 1989 to address the problem that was “the overwhelming cause” of land loss in the hardest-hit areas? Can’t think of anything? Exactly. What has the industry done since 2006, when the state blamed it for 76 percent of the problem in those basins? Can’t think of anything? Exactly. Meanwhile, at least another 500 square miles of Louisiana melted into the sea. The industry’s responsibility for land loss varies dramatically from region to region, and certainly other causes, including the levees themselves, also have destroyed land. But pretending oil and gas played no role is like pretending Drew Brees doesn’t matter to the Saints offense. For years, the state has declined to enforce existing laws and regulations that since 1980 have required areas be “restored to the pre-existing condition.” To force the industry to obey the law, the Southeast Louisiana Flood Protection Authority filed its lawsuit against oil, gas and pipeline companies, basing its claim largely on federal law that prohibits doing anything to “impair the usefulness” of a levee and asking only that industry fix the part of the problem it created. Ever since that lawsuit was filed, the industry has said the suit threatened industry’s cooperation with those trying to preserve the coast. What cooperation? Well, Chevron, which (through Texaco, which it now owns) probably caused more damage than anyone else, brags about supporting a project that will create 293 acres in South Lafourche. But there are 640 acres in a square mile, and the state has lost nearly 2,000 square miles. And SLFPAE filed only after — eight months after — SLFPAE president Tim Doody and I told Garret Graves, then the governor’s coastal adviser, what our board was considering and suggested we all go to Mid-Continent head Chris John and try to work out a voluntary agreement. Graves replied, “I already tried that. They’re not there yet.” He also made it clear that for political reasons the state would not sue the industry. For the moment, the lawsuit is in abeyance, but it already has a legacy, changing politics and public awareness of the industry’s role. National realities also are settling in. The state’s elected officials have always said they’d get money for the coast from Washington, i.e., from taxpayers. That was always a fantasy. The most pro-environmental president since Teddy Roosevelt just proved it: far from calling for more federal dollars for Louisiana’s coast, Obama called for cutting those dollars to zero. All this opens the door to three questions. First, the industry said it was ready to work collaboratively to solve the problem, if only that nasty lawsuit wasn’t in the way. So, industry, when are you going to collaborate — not building 300 acres, but on a scale commensurate with the many billions of dollars of damage your own studies concede you’ve done? Second, will some politician have the guts to demand that the industry step up? Will the attorney general protect the future of Louisiana? Will someone else? Or will our anti-tax governor stick Louisiana taxpayers with all the costs? In fact, last year, state Rep. Joel Robideaux, another anti-tax conservative and the manager of the bill to kill the lawsuit, conceded that taxpayers would pick up the tab for industry-caused damage. Or, third, will the coast and so much that makes Louisiana Louisiana simply disappear? The lawsuit was never the problem; it was filed to solve the problem. Let’s solve the problem. The land loss is the problem. No doubt many of you are wondering what's going on with the flood authority's lawsuit against numerous oil companies. I can assure you, It's alive! As you no doubt know, the single bill (SB 469) which Jindal and the industry managed to get through the legislature was signed by the governor. Since it's now-- for the moment anyway-- a "law" it will henceforth be known as Act 544. Second, a state court has already ruled that an unrelated law (about a hospital closure) just passed by the legislature is unconstitutional because its advocates violated procedural rules in passing it. They put the bill on the agenda for a committee hearing after 4:00 PM one evening and heard the bill at 9:00 AM the next morning. Exactly the same thing happened with SB 469/ Act 544-- only worse. Most of you will probably recall that SB 469 as originally written had nothing whatsoever to do with the lawsuit. The industry was attempting to move another bill, SB 531. But we had 531 killed in one committee, so they stripped everything out of 469 except the bill number and the title, shoehorned into it the core of 531, and got it heard in a different committee. So not only was proper notice not given, but 469 as it was heard was entirely different from how it was filed. And it gets even more egregious: forget the lack of notice-- even if you were physically in the room when the committee heard 469 you could not get a copy of the bill. This violates all sorts of notice and open meetings standards. As I said, those are only two of the challenges the attorneys have. They're both pretty good ones. And they have others. Needless to say, the attorneys are happy to be fighting on the battlefield where the lawsuit belongs-- in a courtroom, and not in the legislature. But that's not the only recent development. On July 24 2013, the suit was filed in state court in Orleans Parish. The defendants-- the industry-- immediately removed it to federal court, and on December 18, 2013, attorneys for both sides argued before federal Judge Nannette Brown whether it should stay in federal court or return to state court. Judge Brown, incidentally, was appointed by Obama and has only served about two years on the bench. This past Friday, June 27, she ruled that the suit will stay in federal court. What's that mean for the case? The biggest positives: Judge Brown's 83 page opinion pretty much rejected all the technical arguments made by the defendants' attorneys, even though she kept the case. Also, by keeping it in federal court, the case is now entirely out of the political arena-- for those of you who don't know, in Louisiana judges are elected, so the industry can pressures state judges by choosing to fund either sitting judges or their opponents and so on. No such pressure works on the federal bench. The biggest negative: No matter what happens in her court, the result will probably be appealed. And the 5th Circuit Court of Appeal is the most conservative appeals court in the country. However, if the suit moves forward-- if Judge Brown finds that Act 544 does not apply-- then all those things I said in the past six months about settlements happening will come true. I firmly believe that will happen. There's a separate issue on the horizon. Paul Kemp is a coastal scientist who sits on the Southeast Louisiana Flood Protection Authority East, and he supports the lawsuit. His term may have expired July 1, 2014. I say "may" because his appointment letter says it expires July 1, 2015. I don't want to get too far into the weeds here as to why the difference, and the Attorney General has been asked to issue an opinion. He probably will soon. If it's determined his term has already expired, that triggers the next battle-- over his renomination. There is a complex nominating process for the board with a special nominating committee, and it's possible that if the committee chooses to do so, it could keep Paul on the board whether Jindal wants him or not. In the recent past, the committee cooperated with Jindal, but several things have changed since then. That's all for now folks. When something happens, I will give you another update. Thanks for your support. And remember who helped us-- who helped you, if you live in Louisiana-- and who betrayed you when the next election rolls around. Is there a single person in Louisiana who believes the governor is putting the state's interest ahead of his personal ambition? At last count 106 legal scholars warned that signing the bill would put at risk claims against BP. The attorney general, the president of Jefferson Parish, the New Orleans City Council, and others all called upon the governor to veto the bill. I think he signed it today because they were just the beginning of a broad chorus from around the state and he wanted to cut that off before that chorus became deafening. And while there may be doubt whether this bill does or does not limits existing BP claims, there is no doubt that it affects future claims- - if, for example, a pipeline ruptures in the coastal zone. I want to thank you all for your help and support. This has obviously been a difficult and disappointing fight. In terms of the legislature, let's not forget those who supported the idea of letting the courts decide-- and those who did not. I find it astounding that legislators representing coastal areas-- and particularly legislators representing areas that were under water in 2005, such as Nick Lorusso from the New Orleans lakefront and Ray Garofalo from St. Bernard-- voted to kill the opportunity to gain billions of dollars for flood protection in their areas. Considering that the next election coincides with the 10th anniversary of Katrina and Rita, their constituents might have flood protection on their minds. I look forward to reminding their voters of what Lorusso and Garofalo did. I'm not sugar coating anything. It was a tough loss. But we do still have several rabbits and hats left, so although the legislative battle is over the war isn't. To quote the classic words of John Belushi in Animal House, "It ain't over until we say it's over." As far as me personally, I've been spending full time on this since before SLFPAE filed the lawsuit July 24, 2013. Just about a year. No one has paid me anything for it, so I'll have to step back and earn a living. That means I'll write another book. Anyone got any ideas? The record of yesterday's vote is listed below. A "Yay" vote supported limiting the authority of local entities and retroactively killing the SLFPA-E lawsuit. The Louisiana Legislators were elected to represent YOU, did they? SB 469 is being voted on in the House of Representatives this week! SB 469 is the final big effort by this year's legislature to undermine the authority of local entities, retroactively kill the Southeast Louisiana Flood Authority- East(SLFPA-E) lawsuit, and prevent oil and gas companies from being held accountable for the damages they have caused to our coast. Louisiana's Legislators were elected to represent YOU not industry lobbyists. Please urge your Representative to vote NO on SB 469. 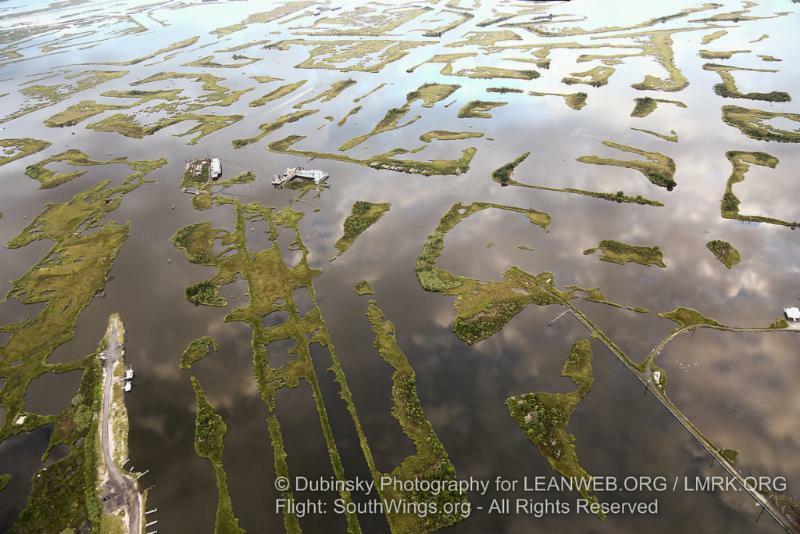 Restore Louisiana Now is taking our case to the airwaves of the Lake Pontchartrain Basin. If 469 fails there will be no money to shore up the land bridge along Highway 90. It's eroding and all that holds the Gulf back from the Lake. CALL HOUSE LEGISLATORS TODAY. VOTE NO ON 469! Seventeen bills were filed to kill the flood authority's lawsuit demanding that the oil and gas industry obey the law and repair the damage they caused to the coast. It looks more and more like we-- you-- have stopped sixteen of them. But SB 469 could still prove lethal. The Louisiana House of Representatives will vote on it Thursday or Friday. The bill takes away the flood authority's right to sue, and it would dismiss the suit "with prejudice"-- meaning even if a future legislature gave these important rights back to the flood authority it could not reinstitute a similar lawsuit. This is about safety-- protecting lives and property. There is an op ed online now at nola.com which will be in the print edition of the Times-Picayune Wednesday which explains how the lawsuit directly affects the safety of everyone anywhere near Lake Pontchartrain. It also affects people all across the state. If you're getting this note, you probably already know that Attorney General Buddy Caldwell has publicly stated that because of the lawsuit oil companies have approached him about seeking a statewide settlement. That's what everyone wants. Get around a table and fix the problem, get some money flowing to help the entire coast. But if the legislature kills the lawsuit, the oil companies will walk away from the table and do what they've done for the last 50 years-- next to nothing. We can win this fight, but it won't be easy. It's really up to you. If you contact your state representative, if you get your friends, your acquaintances, your neighbors, the barista in the coffee shop, the person who waits on you in the restaurant or rings up a sale in the hardware store, and even your enemies to contact their state representative, if everyone tells their representative to vote "No!" on SB 469, if everyone says they are watching this vote and will remember it come next election, then we will win. As you've heard me say before, history doesn't just happen. People make history. You can make some history in the next few days. SB 469 passed the House Committee on Natural Resources and Environment late this morning by a vote of 13-6. House floor vote on SB 469 will be on Thursday or Friday of this week. We are urging everyone to please call their house representatives and urge them to vote NO on SB 469 next week. For information about the vote see Louisiana House panel votes to kill levee board lawsuit. Congratulations! The House Civil Law Committee is deferring action on SB 547 and SB 553. This is good news. If Jindal and the industry had the votes in that committee, there would be no deferral. This is a long way from a final victory, but right now I'd much rather be where we are on these two bills than where they are-- and it's because you spoke up. The industry filed seventeen bills to kill the lawsuit. Other than those two bills, there's only one other one left. SB 469 takes away the legal causes of action of the Southeast Louisiana Flood Protection Authority East. It says the flood authority can't sue to enforce coastal regulations, even though the legislation creating the flood authority explicitly authorized it to address coastal issues. Let's see if we can kill this bill in the House Natural Resources Committee on Wednesday. It will be difficult, its chairman Gordon Dove is in the oil business, but it can be done. The following representatives are on the fence or leaning no, but if you contact them-- especially if you live in their districts-- and if you get your friends, neighbors, and people past you on the street to contact them, if their constituents swamp them, then we can win. If we lose in this committee, it's not over. We will make a push on the floor where right now we're only slightly behind-- but we have a good chance. These are the members of the House Natural Resources Committee. Please call today and tomorrow. Tell them to vote against SB 469. Tell them that big oil must be above the law in Louisiana. It may not seem like it if you read the stories of the last few weeks, but believe it-- we have a decent chance to kill all the bills that threaten the flood protection authority's lawsuit against the oil & gas industry. Grassroots pressure-- your pressure-- has finally loosened up some of the votes against us. Now we need more pressure to break those votes free. Jindal and the industry filed 17 bills against the lawsuit. Right now it looks like only three have a chance of passing. And to keep even that many bills alive, the industry and Jindal had to violate the rules of both the House and Senate. I said before, history doesn't happen. People make history. You are making history. That leaves SB 469, which by twisting the rules the industry got assigned to House Natural Resources, which will hear the bill Wednesday. Nonetheless, we have a chance to win there. Again, if you live in the districts above let them hear from you. Especially if you live in Garofalo's or Schexnayder's district, let them hear from you. They're on both committees and both would vote against us right now. Chris Leopold in Plaquemines is also a key. If 469 does get out of committee, we have a 50-50 chance of winning on the House floor. That battle will come the following week. I've been to Baton Rouge almost every day. I'm tired. I'm sure you're tired, too, especially if you've already sent emails or letters or called. But if you want to win, you will exert more effort than ever. Contact your representative again. Get friends and neighbors and clerks in stores to do it. Get everyone on your email list to do it. It matters. We`are so close we can taste it. Let's do it. Citizens for 1 Greater New Orleans urges defeat of SB 553. Lives depend on flood authority independence! When voters statewide approved the Southeast Louisiana Flood Protection Authorities (SLFPAs) by an overwhelming 81 percent in the Sept. 30, 2006, constitutional election, they created two politically independent levee districts as political subdivisions and units of local government. They voted to put public safety first, to create constitutional protection for two local-area flood protection authorities and to keep them out of politics (particularly, out of gubernatorial politics). The political independence of these two regional flood protection authorities relies hugely on their status as political subdivisions. Under Louisiana’s Constitution, they are units of local (not state) government. They serve our metropolitan-area flood protection needs and are not controlled by the governor, as they were pre-Katrina. Now, legislative assaults on their political independence seek to move them away from the protections of local government, treating them as state agencies subject to the governor’s control. URGENT ACTION REQUESTED: PLEASE CALL MEMBERS OF THE HOUSE COMMITTEE ON NATURAL RESOURCES AND THE ENVIRONMENT AND TELL THEM TO VOTE AGAINST SB 469. VOTE IS EXPECTED ON WEDNESDAY, MAY 21, BUT COULD CHANGE AT ANY TIME! It is ambiguously worded and will erode the rights of parishes to file suit for violations of the Clean Water Act, the River and Harbors Act and the Coastal Zone Management Program. This bill was formerly Senator Brett Allain's SB 531, but became SB 469 through sleight-of-hand and transferred out of Senate Judiciary Committee A, where it would have been defeated, to the Senate Natural Resources Committee where it passed on a voice vote May 7. Last week, April 28-May 1, the Green Army with the sponsorship of the Louisiana Bucket Brigade, traveled across the coastal zone and south Louisiana visiting with communities where lives and properties have been compromised or destroyed by the callous disregard of the oil and gas industry. These communities included Bayou Corne, Lake Peigneur, Vermillion and Cameron parishes, Mossville, and Standard Heights in Baton Rouge. On Thursday evening, May 1, the tour rolled into Abita Springs to lend support to St. Tammany Parish residents who are fighting a permit that would allow Helios Energy the right to frack above the Southern Hills Aquifer. Moss Robeson, an 18-year old rider on the tour, prepared this documentary from the week's events. LOST PARADISE: The Green Army's "No Big Oil Bailout" Louisiana Bus Tour from Moss Robeson on Vimeo. John Barry Goes to the Rotary Club from Walter Williams on Vimeo.